1 October 1880, serving in this position until 30 July 1892. Sarasota is a city located on the central west coast of Florida. In 1962, the Sarasota Mobile Home Park Auditorium was built as a meeting place for mobile home park residents. The auditorium is now used mostly as a leased facility by the public for dances, band concerts, meetings and private parties. The room has a well maintained three thousand square foot wood floor suitable for dances and meetings, and there is a large well-lit stage for bands or performances. The Sarasota Mobile Home Band is one of the best established marching bands in the area and frequently performs at the auditorium. In 1993, they earned national acclaim as they were presented with the Sudler Silver Scroll - an award which recognises and honours those community bands that have demonstrated particularly high standards of excellence in concert activities over a period of several years; and which have played a significant and leading role in the cultural and musical environment in their respective communities, by the John Philip Sousa Foundation. The John Philip Sousa Foundation is a non-profit making organization dedicated to the promotion of marching band music across the globe. The foundation administers a number of projects and awards supporting high-quality band performance, conducting, and composition. The foundation takes its name from John Philip Sousa, a prominent composer of American band music in the late 19th and early 20th centuries. 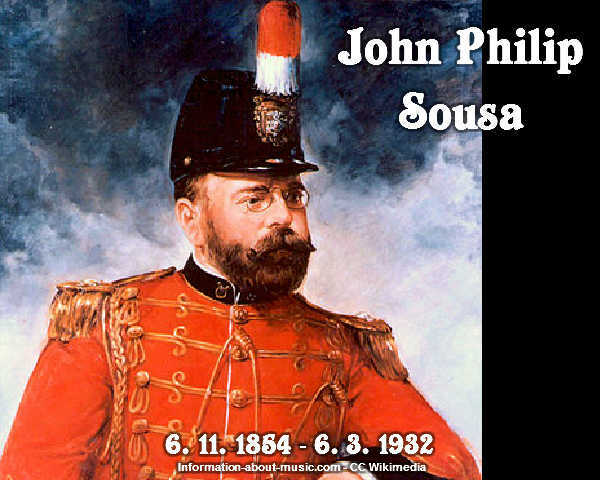 John Philip Sousa was born in Washington, D. C. on November 6, 1854. At age 13, he enlisted in the U.S. Marine Band as a "boy" (apprentice) musician, but he also continued his private music studies, where he learned violin, harmony, and composition. After being discharged from the marines, he performed as a violinist and conductor in various theatre orchestras in Washington and Philadelphia. By 1880, his fame as a conductor, composer, and arranger had been established and he was appointed the leader of the U.S. Marine Band and held this position for 12 years, eventually molding the band into the finest military band in the world. He resigned from the Marine Corps in 1892 to form his own civilian band, who in a matter of months had assumed a position of equality with the finest symphony orchestras of the day. The Sousa band traveled the world in 1910 and 1911, made four additional tours of Europe, and annual tours of America. Although Sousa is stereotyped as a march composer, he composed music of many forms, including fifteen operettas. He was an indefatigable worker, proclaiming "when you hear of Sousa retiring, you will hear of Sousa dead". This prediction came true when he died suddenly following a band rehearsal in Reading, Pennsylvania on March 6, 1932. "The Stars And Stripes Forever" is widely regarded to be Sousa's magnum opus, and following an act of Congress, it became the national march of the United States. There are many hotels in Sarasota available for anyone wishing to catch the Sudler Silver Scroll winning Sarasota Mobile Home Band in concert. Andrew Regan is an online, freelance author from Scotland. He is a keen rugby player and enjoys traveling.